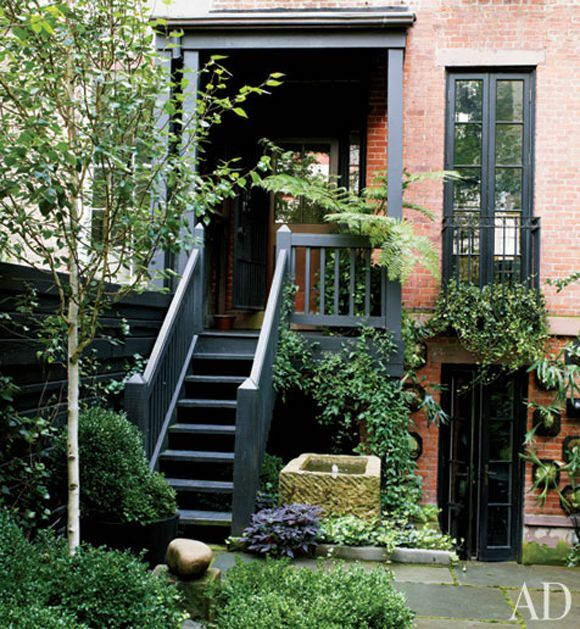 Someone commented here to remind me about Julianne Moore’s lovely new landscaping of her West Village brownstone. And then I was chatting with the lovely Joslyn (who was on the SF trip last weekend) about how awesome her yard is. Simple. Artsy. Pretty easy-care. This might be the right approach for us busy ladies. So I pulled up the article from Arch Digest on my flight home Saturday night. The photos really are cool (Her whole house has a great vibe – I’ve included photos from other shoots here, too). I was super fascinated with this part of the article where Julianne mentions that she only wears and decorates with a handful of colors. She won’t buy it or bring it into her home unless it’s white, black, gray, green or purple. At first I was like…huh. But the idea has stayed with me all weekend. Wasn’t it was Matisse who talked about how the beauty of art comes from the struggle of an artist and his limited medium? I think the idea works in designing a home. As a decorator who usually uses a lot of color, I think I’m making my life harder by not limited my color palette a little. When there are infinite choices, it’s easier to make a misstep. Although, let the record show, I am not usually in favor of matchy-matchy rooms and I think what we’re talking about is a very different approach. The key here is to vary the shades and tones of similar colors. Use peach and tangerine colors rather than the same bright orange on every accessory. Try mixing sky blue with cobalt. 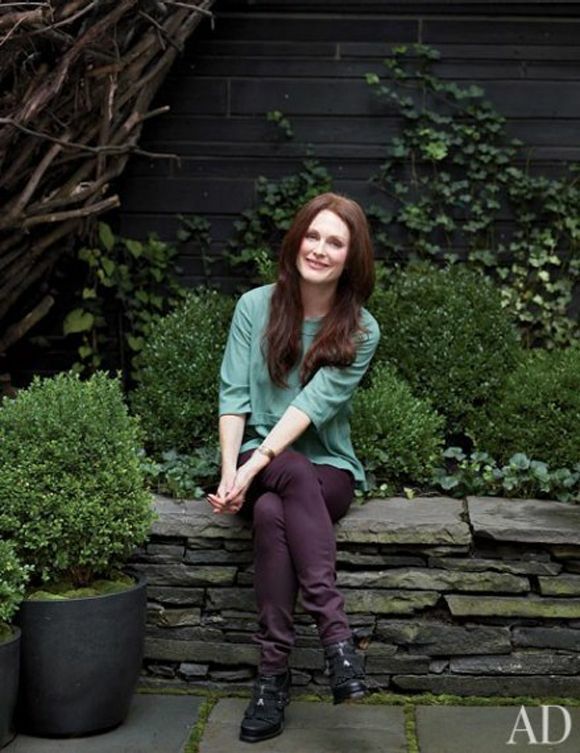 I doubt Julianne’s house is filled with the exact same shade of plum over and over again. It looks like she mixes plum with dusky gray lavender and deep burgundy, which feels lovely and warm. What are your thoughts about limiting the color palette in your home? Do you love for things to match in your home? Thanks for posting! I think the limited color scheme is actually really helpful in decorating a home. There are so many ideas and colors and emotions one can convey with decor, it can be too much to try and fit it all into one home. 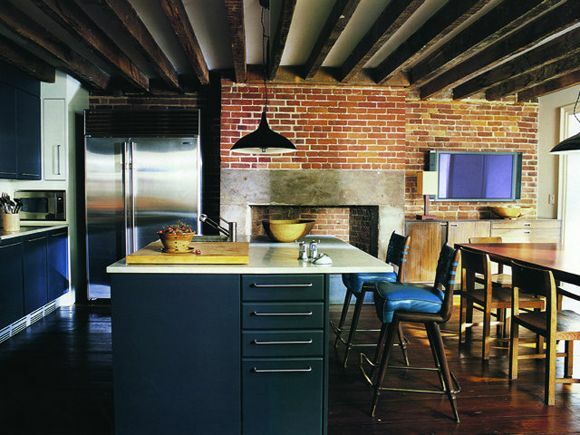 I have found I tend towards various shades of blues, greys, and metallics in my home. It helps the whole house feel cohesive without being matchy-matchy. 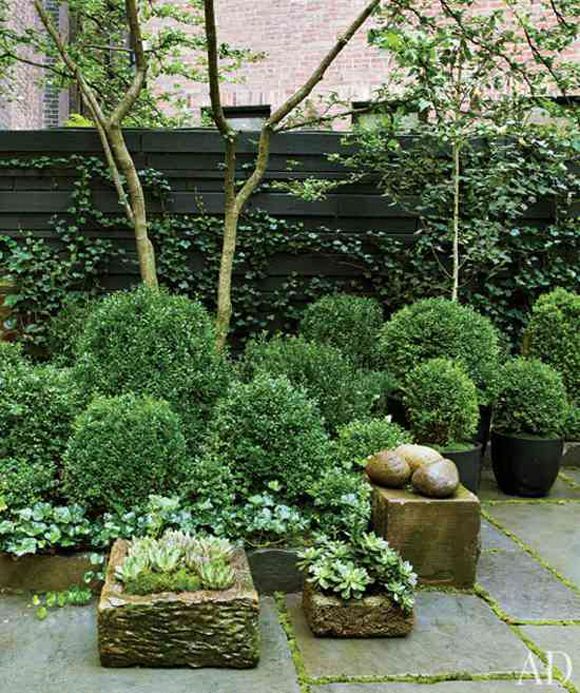 The landscaping in the post is really helpful- thanks again for posting! and then she wore BRIGHT yellow to the emmys. HUH. i love this topic. i've never really thought about it. but i have realized that i feel so much more at peace when my home is on the simpler side when it comes to color. i love black and white and grey and i know i need to limit that. i really like the idea of using varying shades of colors… definitely going to mull this over. thanks as always! 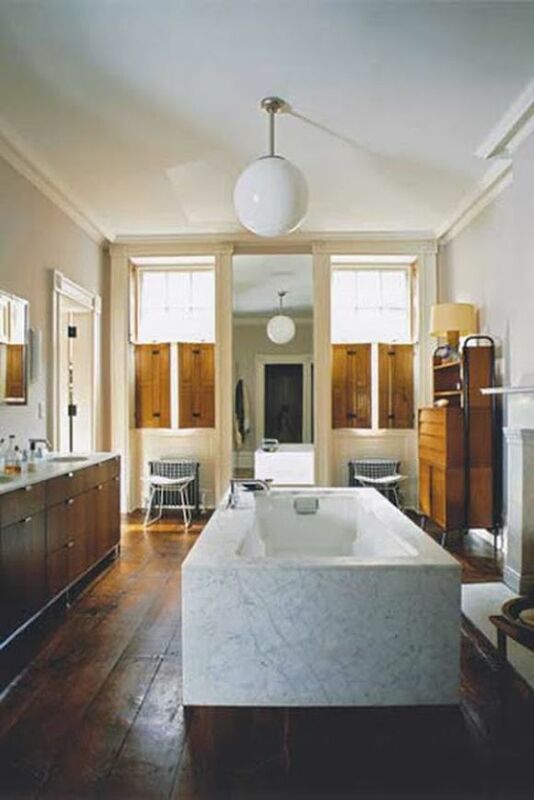 Right now, I am doing just that in our home….and it seems to be all about white, gray, linen and black. First let me say how happy I am that you made a full and rapid recovery. Glad you're back. Second, I find I naturally do that because like Julianne, I'm really drawn to only a handful of colors and they tend to be the same colors that look good on me. Mine are green, orange, blue, creamy white and black. Occasionally another random bright color will creep in but it's usually just for a punch here and there. I've also found I can move all my art, pillows and accessories around from room to room due to this fact. It's really handy! It reminds me of that "do your colors" trend from the 80s that pick the most flattering colors based on your skin/hair tone. You were either a spring, summer, autumn, winter. Julianne would definitely be a autumn. oh, thank you so much for reminding me of this beautiful feature in AD. you are so inspiring, LGN! i can hardly believe how much you get done with your own two hands. its truly remarkable. Limiting one's options certainly does simplify life. I discovered this when my kids started wearing uniforms to school (it is AWESOME not to fight about clothes every morning). And, as a vegetarian, I am usually the first one ready to order since eliminating the meat entrees narrows my choices quite a bit. Why not try this with home decor? Thanks for the inspiration, Jenny! Please don't ever change your unique color style. You have inspired me SO much. I am of the buy-everything-white-beige-and-grey conviction, but when I found your blog, I started getting ideas on how to spice up my rooms. I started with the TV room/office, and it is absolutely my favorite place in the apt. I always want to be in there. Plenty of people are doing the neutrals or monochrome thing. Your amazing color combos are so cool. Please don't stop. My apt. needs your creative ideas! Anytime you find you're having trouble getting a painting to 'work' (harmonize), reduce your color pallet. 1) Find a piece of good art that you really like. This could be a rug, painting, or quilt. 2) Pull colors from the art to use in that room of your house. I know a lot of interior designers do it the other way around by picking art to go with the couch and other colors of the room. However, it works just as well by finding the art first. Awesome living room. The kitchen looks great also. I really liked it. Julienne Moore's home is stunning, but I would have such a hard time limiting the palette of my entire home so dramatically. I think it's important to limit the palette in each room to keep balance, but think allowing each room to have a unique palette and feel leaves room for experimentation in your home! 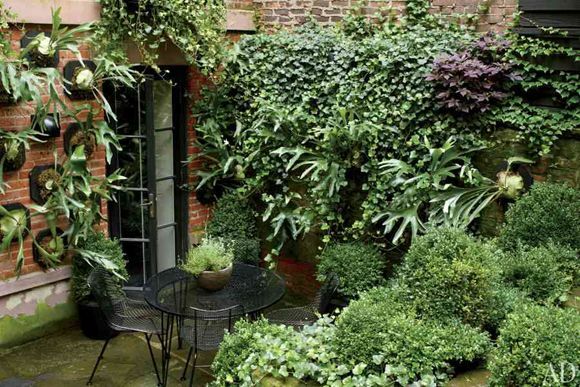 I want her garden though.. Love all those boxwoods!! I LOVE this idea. My biggest priority in decorating is creating a peaceful and calming environment. It is hard for me to feel this way with lots and lots of color! I just found this post via 'A cup of Jo' blog. Thanks, I am open to all suggestions about choosing colour for our home, after all, we have to live with it! Having chose a colour for my last lounge (which I didn't end up liking) and also having actually limited my colour palette for my wardrobe,(and I was pleased with the results) I might try this with decor too! "Vaginal" ?! I have absolutely no idea what that is supposed to me; you have lost me there, especially since I can see anyone, male or female, comfortably ensconced in that home. I think I already limit my color palette too much. I just moved into my new house and am basically starting from scratch with the decorating. I'm just drawn to the same colors over and over again and I have to make a conscious effort to not be matchy matchy. I'm working on it! I read this post when it was posted and it keeps popping into my head followed by a knot in my stomach. Your use of color excites and inspires me and I would be so disappointed if you made such a drastic change into a style similar to those pictures. They are beautiful, yes, but you are so talented at balancing color (color!! not color… If that makes sense) in unexpected ways . I'm all for a challenge and growth but…please don't change!….too much. @quartzite: I was confused by the comment for a second too, but got the reference to The Big Lebowski (a really great film – recommend!) that Julianne Moore played a part in. Not sure what your reference, directed specifically to me, is meant to mean, but then, as others have noted in the past, what is the opinion of an anonymity worth…? I liked the film too, but couldn't remember enough to decipher the comment. I wonder if A is the same A who posts all the extraneous spam-like stuff? Come out of the closet Anonymous, so we can all get a handle on you. I HAVE BEEN IGNORING ALL THE ANONYMOUS POSTS, BUT JUST HAVE TO SAY, WHAT A SAD CASE, SPENDING ALL DAY DOING THIS FOOLISH STUFF JUST TO GET NOTICED. Wow! I love her home. 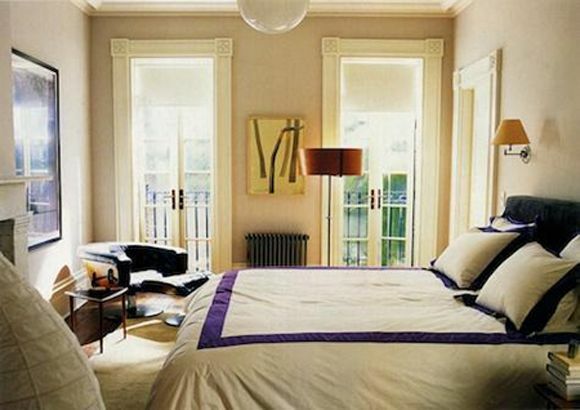 I am often drawn to rooms with very limited color palettes but would have such a hard time sticking to this!